"This matcha shake is super, made with low-fat ingredients, packed with protein, antioxidants, and flavor!" 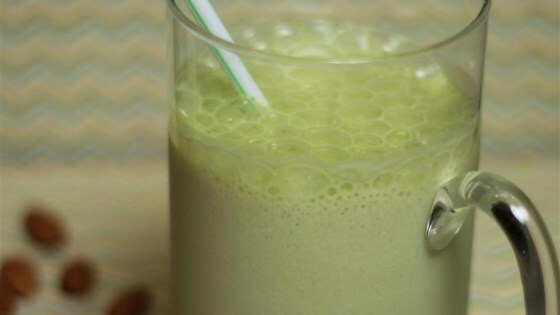 Blend soy milk, yogurt, green tea powder, and ice in a blender on high until ice is entirely crushed, about 1 minute. For my taste, this recipe definitely needs some sweetener in it. I too used unsweetened almond milk but added a good bit of stevia. I really enjoyed this drink. I agreed with a fellow reviewer about adding a bit of sweetness. I added a little of stevia . Highly recommended if you enjoy matcha .